Haymarket Virginia’s trusted comfort specialists. We’re here to provide you with expert advice about the trouble you’re facing with the heating and cooling systems in your home or office. 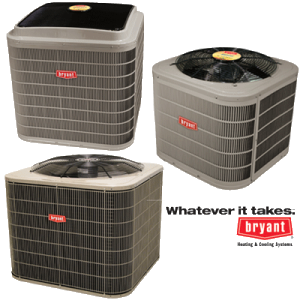 We represent all the major manufacturers such as Bryant , Trane, and we can also repair or install any type of heating or cooling system required in your home or light commercial building. We install high-efficiency comfort systems designed to be the most cost-effective on the market and geared to your particular property. We want to provide comfort as well as peace of mind for as long as possible, ask about a Trane or Carrier extended warranty and we could grant you up to 10 years of peace of mind at extremely reasonable cost. Whether you own a residence or commercial building, whether you need installation or service, our goal is to provide you with key environmental systems expertise. You should be at ease and in control — a feeling of confidence and comfort that we are happy to help you establish and maintain. We want to provide you with as much information, answers and solutions throughout your decision making process as possible. Our plan is to build a strong foundation with our customers by providing Reliable, prompt, safe, and courteous customer satisfaction. Our main focus is affordable routine maintenance. We plan to provide our clients with Precision tune -up’s through our safety and efficiency agreements. This will keep energy costs down and ensure safe and efficient operation as well as reap great savings to our clients. We strive to bring quality and reliability together with peace of mind at an affordable cost. We offer our cash on completion customers a thorough diagnosis of the system for a diagnostic fee; we’ll then show you exactly what the repair will cost before the work starts, which benefits the customer because you won’t be charged by the hour and nothing happens without your approval. Preferred customers enjoy the great benefits offered through our SEA’s (visit residential systems page). With more than 15 years of industry experience, and highly trained technicians we provide Northern Virginia with professional residential and commercial services. We’re proud to be a member of the industry’s premiere professional organizations. DO YOU NEED HVAC SERVICES AT YOUR HOME OR BUSINESS?